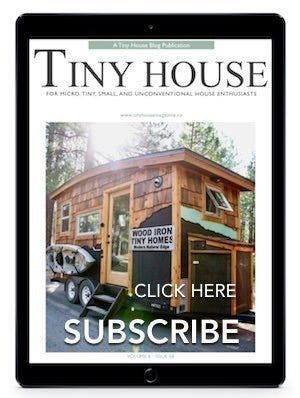 Quick and efficient kit cabins are appealing to people who want to live in a tiny house or have a tiny house as a small investment property, studio space or rental property. However, they tend to be on the pricey side. Arched Cabins, a growing company located in both Houston, Texas and Timberon, New Mexico have created these tiny arched cabins for a low price. 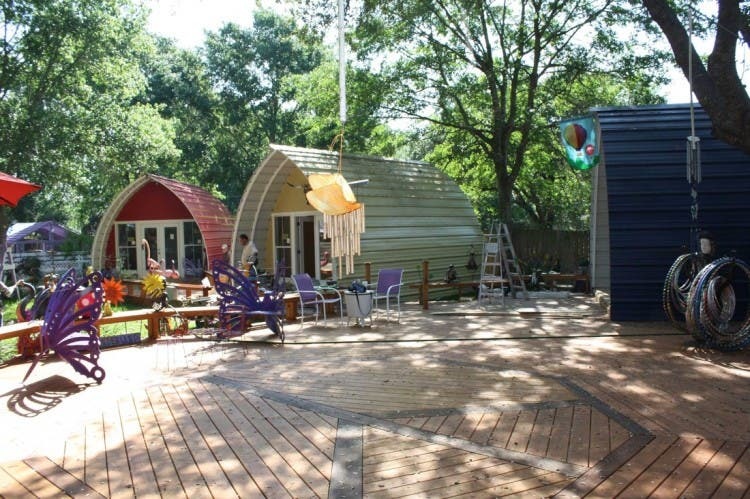 Each of these colorful cabins can be adapted to fit your space requirements and needs. The cabins have been built to be used as artist studios, retirement homes, hunting lodges and tiny houses. Each can be built as an open floor plan or with a loft. The costs of their five standard widths are actually quiet reasonable and include all structural components, sheeting, insulation and construction instructions. 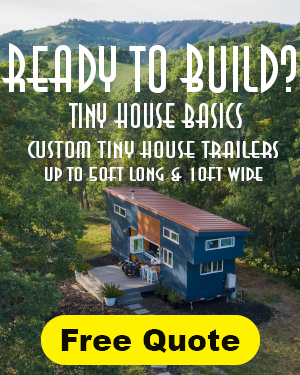 A 12×20 foot cabin is $3,600, a 14×20 foot cabin is $4,000 and a 12×40 foot cabin is $7,200. Larger cabins from 16 feet to 24 feet wide range in price from $4,400 to $12,800 for the kits. Shipping is added on later and is adjusted for fuel costs and distance. Various foundations can be used with an Arched Cabin including poured concrete, wood pier and beam as well as pier foundations made of steel. 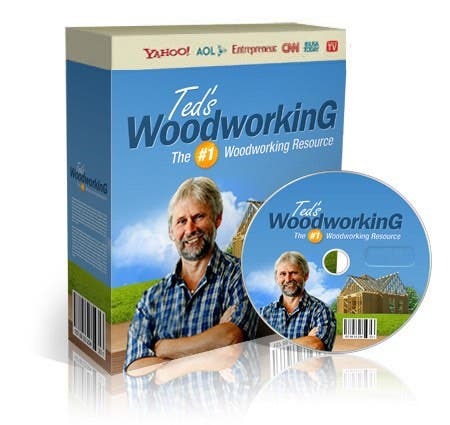 To save even more money, the smaller units can be built in one day with minimal labor. The company currently has a promotion going on now where you can get a 14×20 Arched Cabin Kit for $3,695. The kit includes all structural steel components, insulation, Superspan PBR Sheeting and all hardware for construction. on a 12 x 40 how much for a complete product finished inside, So a 7200 shell would take how much to complete as a home all amenities? That would depend on what you ant to put in it. Formica vs. granite, and so forth. Hi John, the link in your name isn’t working. Regards, Keith. John, clicking your name doesn’t do anything. clicking on your name doesn’t do anything. I wish I was ready to build as these look wonderful and the price is right!! I like Kari wish I was ready also..The price is definitely right.. Could be mounted on a barge also.. The Barge or a houseboat is a great idea considering the fabulously weatherproof roof! the barge notion struck me as well, George…great houseboat potential! 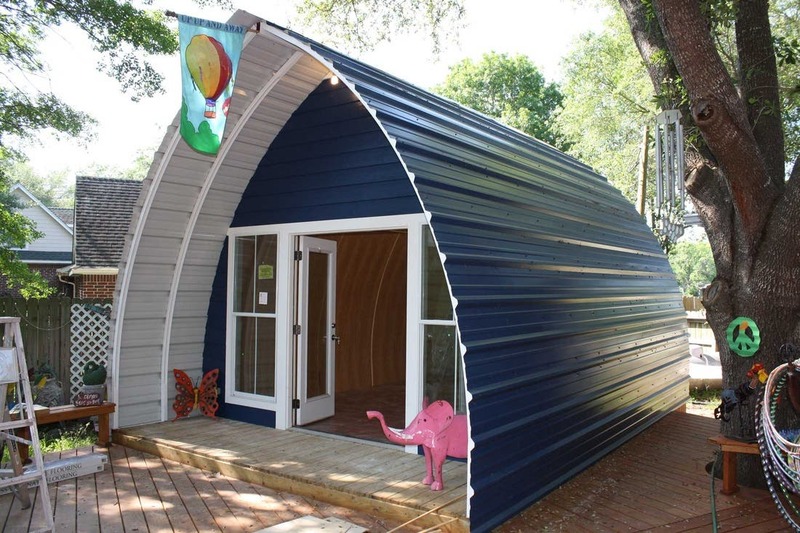 Wow, these are great, wonderful design idea and remind me a bit of the old quonset huts. Would make a wonderful little yoga space or meditation retreat. They have a real “zen” feel to them. I am a retired senior woman who just loves the information you give on tiny houses. No plans to build right away but my husband and I get some wonderful ideas from all the beautiful homes individuals are building. We especially like to see how space is utilized inside the houses. I encourage our friends to look at the tine house website. Thanks again tiny house friends for sharing your homes with the public. Would love to know where to purchase, shipping cost, etc. they are wonderful and price is perfect. Reminds me of the old quonset huts! Cute… Wondering how weather proof they’d be? Hurricanes and/or high winds? There’s that lip on the front…. I think they would do good in high winds. I don’t sell nor own one just think they are wonderful secure homes that I hope one day to have built on my property. I’m looking at the arched cabins for guest cabins. I live in one of these houses And it has performed amazing. We live at the top of a mountain where the winds often hit 50+ miles an hour. Our home feels steady as a rock. They take heavy rain and snow loads as well. Keyword here is home! It is my wife and I and two young kids. Our home is small but feels very large with such high and lofty ceilings we use a wood burner in the winter and windows in the summer. I was skeptical of the insulation at first, but it has proven to be very good. Plus it was really easy to install. Thanks arched cabins for giving my family such a unique Home. What would you say the cost was going from the shell to the finished product? 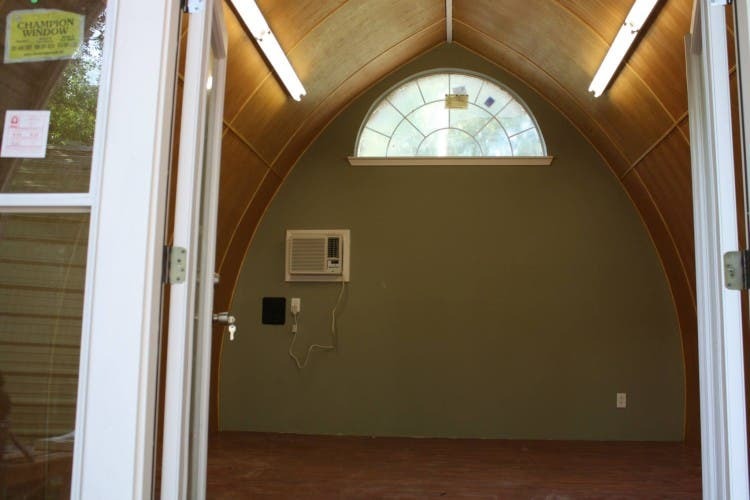 I am strongly considering an arched cabin, but I want to be sure I don’t get stuck half way into the project. 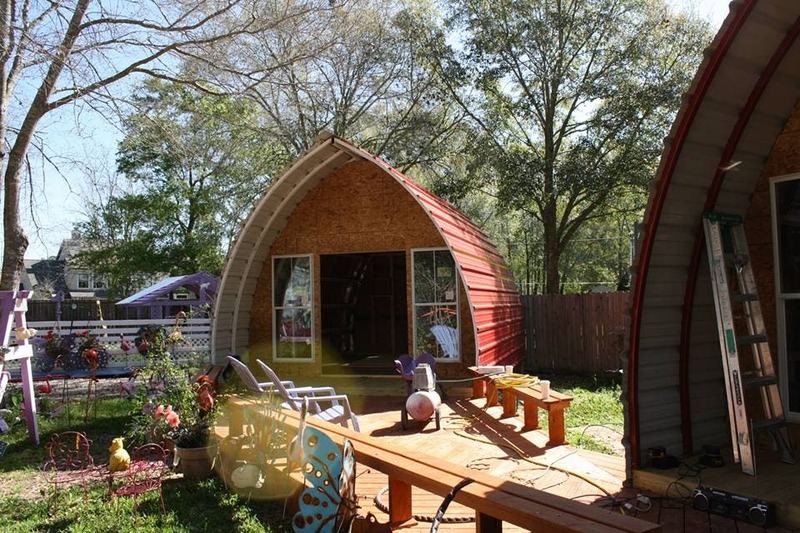 I just contacted Arched Cabins and they explained that while you can put the shell together, they can do it for you. It’s anywhere from $50k to $60k, depending on the size. They quote me the 30×40 cabin. That is the cost of putting it together for your which is extra. You still have to shell out the cost of the cabin plus shipping AND anything you need for the inside, i.e., cabinets, fridge, stove, etc., electrical, walls, windows, doors, etc. These are emotionally appealing in a way that sheds are not. Nice price too. Love these…finally an affordable solution! Nancy makes great observations about the weather related durability of these huts. Add to that the fact that they will become bake-ovens when they heat up. I am so thankful for protective covenants that keep this type of unit out of my neighborhood. I live in a very small home that is made, basically, of metal. With the windows I get a good cross ventilation, also, I have the roof painted white. 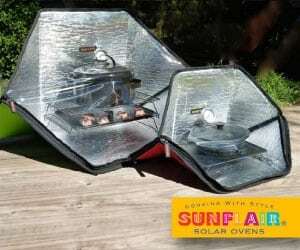 While it can get warm, it isn’t a bake oven…and I live in the tropics. Probably most who would choose this as a home wouldn’t want to be in a neighborhood with protective covenants, so I’m betting you’re pretty safe on that one. So by ‘protective covenants’ you mean, ‘not a free country’, right? Wait, how is the freedom to join -or not join- in a voluntary homeowners’ association not free? Those who don’t wish to abide by mutually agreed upon building restrictions can buy elsewhere where the terms are more to their liking. Nobody is forcing anyone to buy property with legal covenants in effect which they don’t like. Similarly, if someone in a tiny home community decided he really wanted to build a McMansion, he’d probably see his plans turned down and he would be ‘free’ to build his pile elsewhere where size restrictions didn’t exist, wouln’t he? in strict adherence to the rigid specifications of an elite few who decide for us. we already have [too much of] this don’t we?! looks like living area is reduced unless the building/room is square? First I think these are really cute. They remind me of an A-frame house. Now think about the advantages this could have as far as placing solar panels on the roof, put one on each side and you have max exposure. The other thing I like is that the arched design allows for great rain collection and allows snow to just slide right off. I do agree on the comment about the heat factor but if you got creative you could put a skylight in the roof for air ventilation. The only thing I am not sure I would like is if you did a sleeping loft you would have to be really careful about getting up in the morning. ouch on the head. They are pretty cute and that does seem like a really good price. Curious though, is there a way to add more windows? Especially on the side for cross ventilation? I am quite a window person and this seems a bit too dark for me. If there is a way to add windows, that would be very cool. The Arched cabins website has several interior views. Also youtube several where the builder did slide shows of the construction. Love the concept. Insulation could be added, to keep the summer heat factor down. I’d sure want a way to add more windows (that would open), though, in a larger unit. The cost is right, and the arch adds height without complexity or cost. The sloping sides would be ideal for snowy regions. But will the insulation upgrades handle temperatures down to -20°C? Can it be upgraded without changing the wall design? I have one question: what is the wind rating of these building? I love the idea and the style but here in Alabama we get some stiff wind burst. I am thinking garage on bottom, living quarters on top. Not enough windows for me. Not bad if you don’t want side windows/doors/ventilation. That shape of the side/roof panels makes it strong but complicated if you wanted to put in a window. You end up with somethng like epoxy spread around a gap unless they offer custom fittings. Simple A-frames are cheaper and easier to put side openings into with off the shelf fittings. The other thing difficult is using the curved room on the sides. You don’t have a usable 12 x 20 footprint in a 12 x 20 foot building, the slope gives you a small odd shape near the side floors that no furniture can utilize. For instance, if you have a freestanding shelf 6 feet tall and 1 foot deep near the side of a 12 foot wide building, it needs to be about a foot in from the wall. This gives wasted space behind it, and now your building is effectively 10 feet wide, not 12. 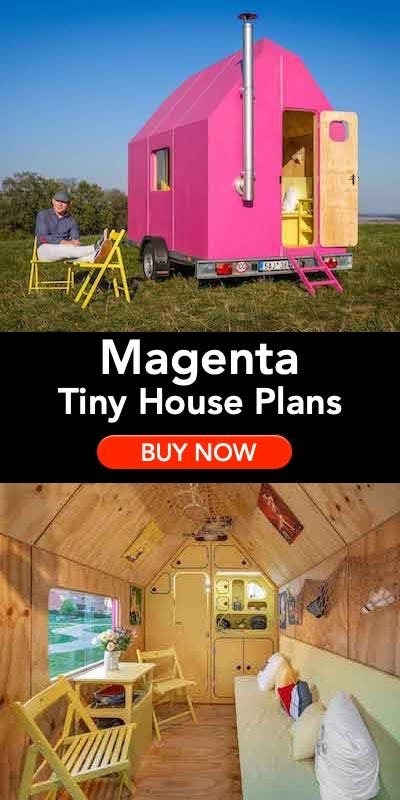 Tiny houses need a very efficient use of what little space you have to be comfortable for MOST people. That said, many people are happy to live on boats which almost always have such odd, curved spaces. I like the look, and it could be good for the right situation. The simplicity of the arch does not compromise its strength, and that is appealing. What about adding dormers to install windows? The current design seems to be limited to front and back windows. Taller structures will suffer from lack of natural light, and one possible way around the problem is to build higher and make one (or two) loft bedrooms. what if two or three (or even four) of these units were put together around a central building… lots of possibilities beyond just one of these standing alone. maybe an affordable way to build something a bit more livable but still on the small side and efficient? Inspired by the Irish Pods? As a child, I lived in a Quonset hut on El Toro Marine Base, and though the light wasn’t plentiful (small hut), it was cozy and roomier than many apartments we had to live in around the country. El Toro was in Southern CA, and in the early ’50’s we were awakened by a violent earth-quake. I woke up on the floor (having been tossed out of bed) in the kitchen, with my mother running to try to catch the refrigerator that was swaying over me. The Hut was fine, though, and so were we. A bit shaken up ,though. (Forgive the pun — but it’s true.) I’ve been dreaming lately about finding the right replacement, we could live in during out retirement. I think this is really IT! My dream did take a different configuration, but I’ll save that for now. It’ll be pretty cool if we can do this! Thank you for this design! Much better, and more modern. Are there any near South Central PA that we may tour? That would do the trick, I think, for my Traditional Man. We’ll be retiring to Maine rather within the year. I like the look, but wouldn’t the edges of the roof need some kind of protective moulding? If you walked into it by accident, you would get a nasty gash. Please send a contact address & price list. Please send me a price list and information on these cabins please. 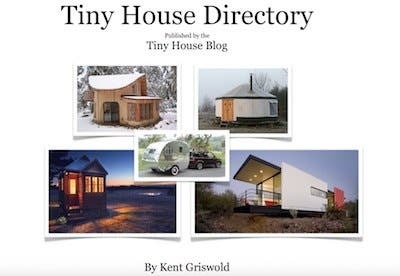 You need to contact the company and not do it through the Tiny House Blog. They may not see it here. Read backward to see their build process and forward to see the steps to completion. I am really interested in a arched cabins I would like to know the prices and shipping? Please contact the builder as this is just a post about them. I live in the regional area known as Tonado Alley, I know its impossible to guarantee anything in that event but how much heavy wind and rain could it take? Is there any safety award or anything it might’ve been awarded on?